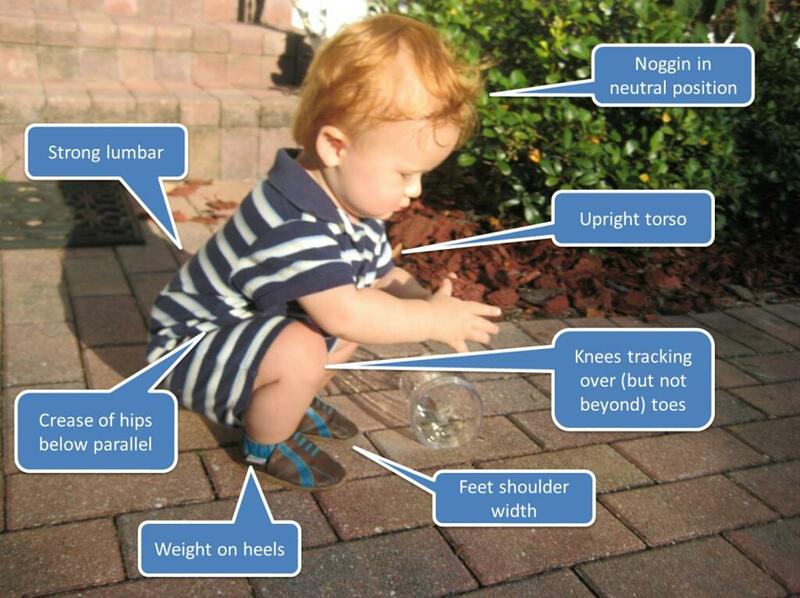 One of the most natural movements we can do as a human, the squat. If you look at young toddlers, (I have one myself), when they are playing they very often hold themselves in a squat position for a long time. It is the evolutionary seat that was created for us. When I gained my certificate as a personal trainer, I thought I knew it all. During my training I was taught how to squat correctly, which is with your feet shoulder width apart, bending from the knee, activating your glutes, and keeping your back straight with your heart to the sky, and pushing off through your heels. This all sounds correct yes, because it is, however what I didn’t learn was we should all really try and go as low as possible. In my opinion, that’s what we do as kids, it is clearly natural, that’s what we should do now. One of the reasons we don’t by the way is flexibility. I am a culprit here with this. The flexibility in my ankle isn’t the best, but I’m working on it. I bet not many people in this country can squat to the floor whilst keeping their feet flat, without holding on to something or falling over. I’m talking adults here by the way. One of my best friends has an awesome physique, lifts some serious weights yet openly admits he can’t squat very low because of low flexibility. Before embarking on trying to overload your muscles with olympic bars and loads of plates, my suggestion would be to get your flexibility first. If you do then you will become stronger anyway. The lower you squat, the more muscles are engaged, the more energy you require, the more fat you burn. Your ankles, knees, hips particularly need attention, but also don’t forget how much your abdominals are activated with this exercise. For fat burning, the squat is a must. For building lean tissue, the squat is a must. For endurance athletes, the squat is a must. 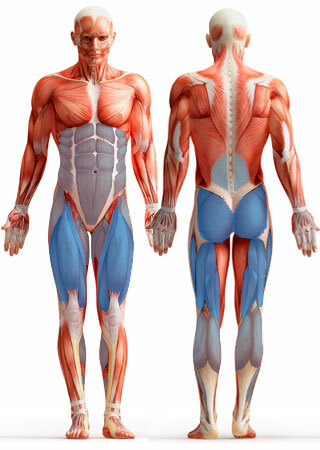 Th squat uses so many muscles, and major ones at that. This is why it burns fat like there’s no tomorrow. There are a number of variations of the squat. If you are loading weights then you can do a back squat, front squat, overhead squat, hack squat, one legged varieties. There is loads to choose from, mix them up and hit your muscles from different angles. If you are using your own body-weight then you can perform jumping squats and add them to a plyometric circuit for a real test. Below is a picture of the muscles worked.